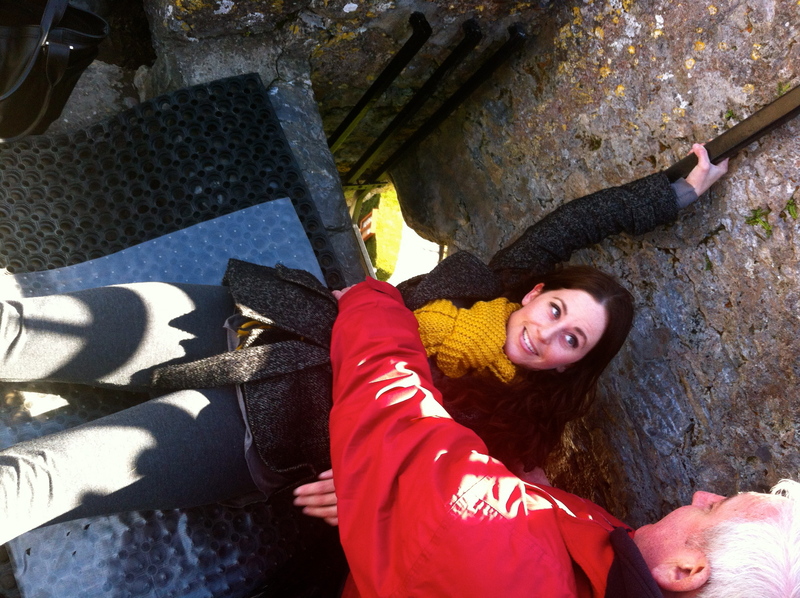 I kissed the Blarney Stone multiple layers of sanitizer gel. Sanitizer gel tastes delicious…I mean, come on… I wasn’t about to kiss a bare stone that millions of people have had their mouths on! Legend has it, anyone who kisses the stone receives the gift of gab, something I’m sure all who know me is probably wishing I do not contract as I already blab on and on. 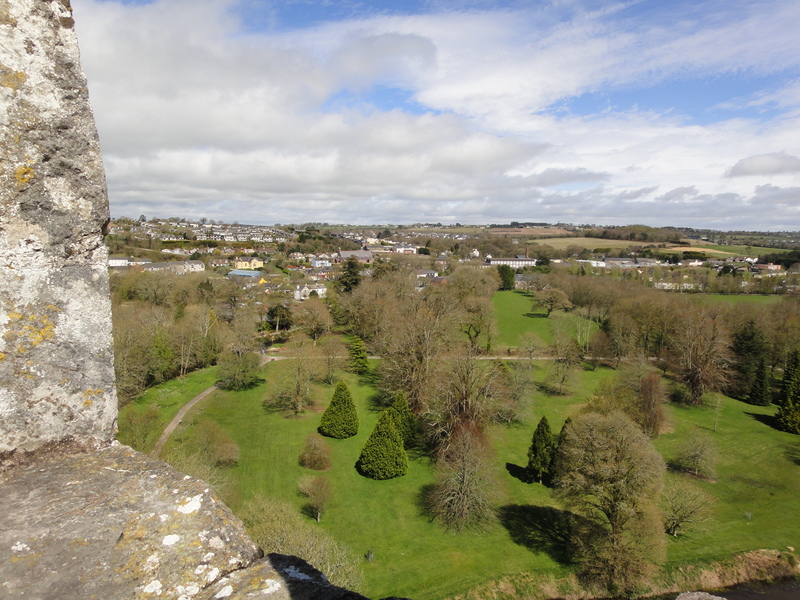 Blarney castle is spectacular; the grounds of the castle include watch towers, an amazingly gorgeous house, a poison garden (complete with a cannabis plant!) a waterfall and more. 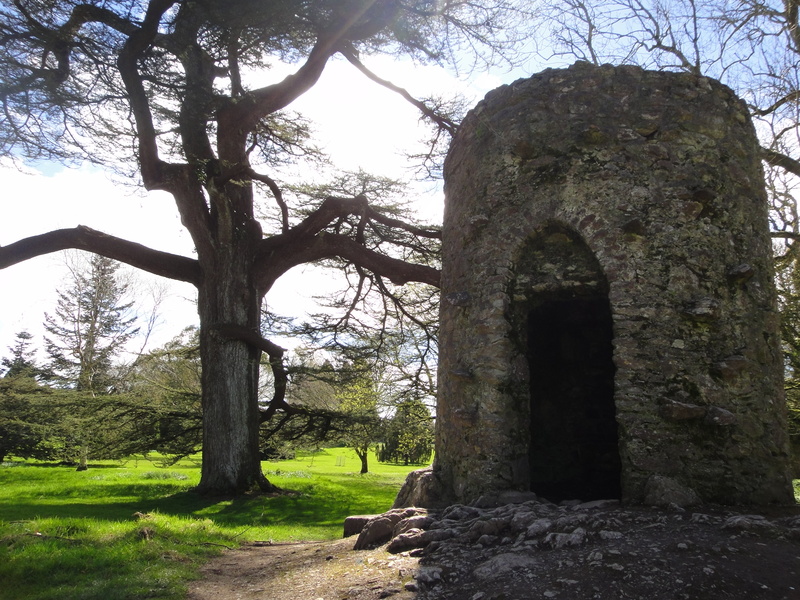 Walking to the top of the castle to the stone is quite a journey; a climb definitely not for anyone who might be claustrophobic. 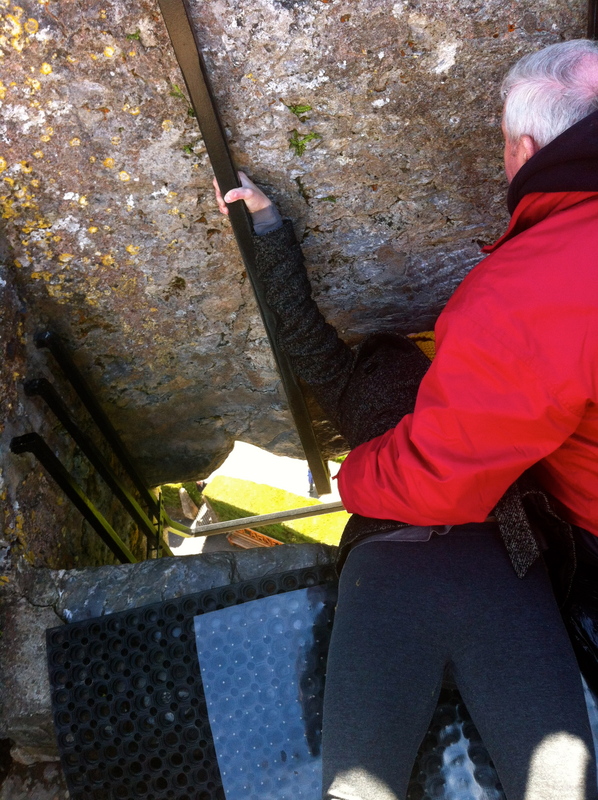 The higher up the castle stairway, the more narrow the well becomes. Once on top, the wind is quite strong (at least during my visit), but the scenery is spectacular. It’s a pretty freaky thing to actually kiss the stone, as you must sit with your back towards the stone and lean back… ALL the way back, and grab the handles while a little old man pushes you towards the stone to kiss. I personally requested the stone be doused in anti-bacterial gel, as I am not keen on contracting any kind of disease/illness. Although rare, I’m sure, I am a total nutcase with germs. 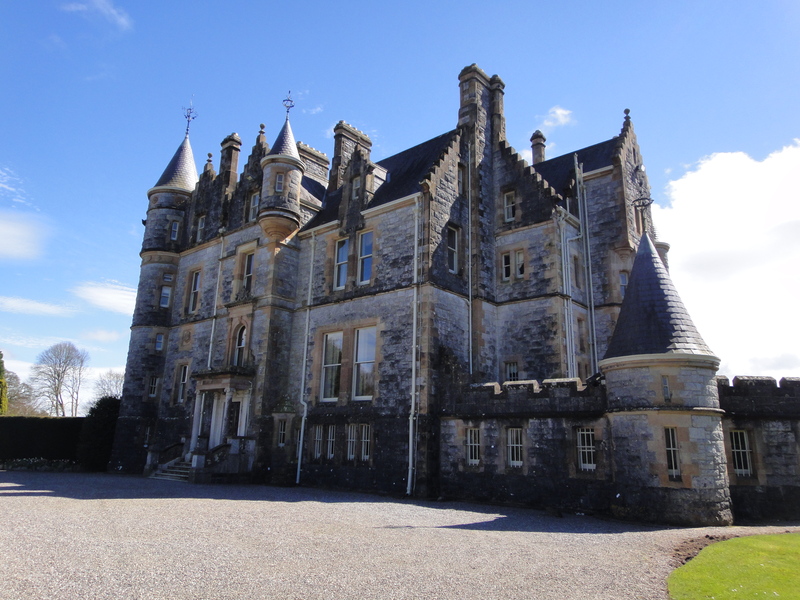 The castle also has separate rooms and dungeons you can enter, including a kitchen and dining area. In the end, I wasn’t sure if I wanted to put my mouth on a cesspool of germs, but thanks to modern inventions such as anti-sanitizer gel, I was able to check that off my bucket-list. (I must admit I never actually had it on my bucket-list until I knew you could sanitize it!) I’m super happy I got the chance to do so!! I totally wasn’t having it…. especially when the little old man tapped my buns…. A HUGE thanks to the amazing crew at Shamrocker Adventures for hosting me! All opinions, like always, are my own. 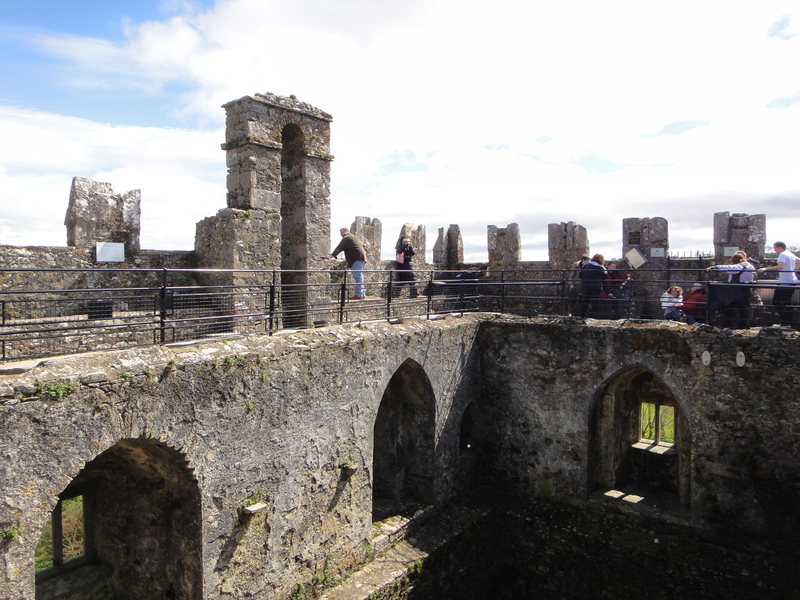 13 Comments on I kissed the Blarney Stone multiple layers of sanitizer gel. The height of it isn’t scary, it’s the being shoved backwards thing that is. You’ll be fine! Plus there are bars under the opening to catch you if you were to fall…. You are definately afraid of heights. That stone is way out there, the height scared me more then the germs lol, I love the pics’ brings back memories, all of the beauty of Ireland. Isn’t it the best. Im so glad you went. 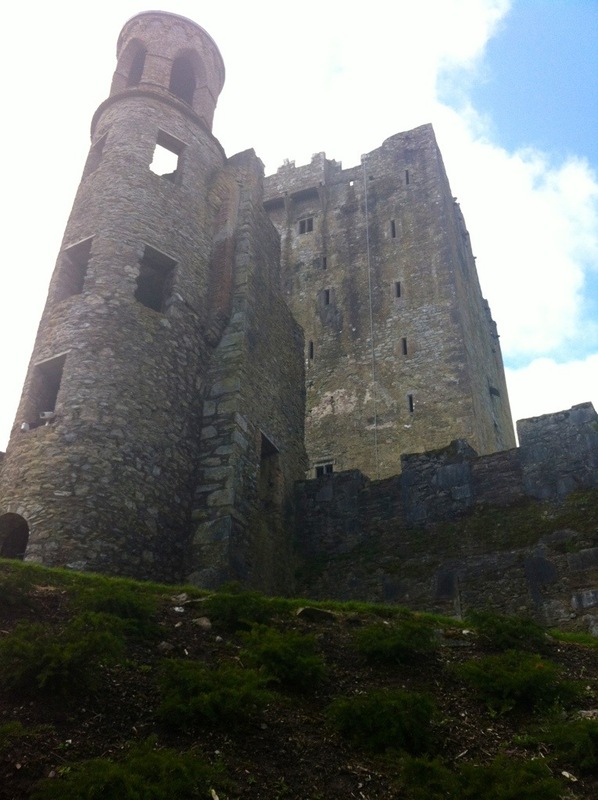 Good to hear you kissed the Blarney Stone ~ for a moment while reading your post, I thought you were going to pass on it. No way! I wouldn’t have passed. I brought my own sanitizer gel with me thinking I’d saturate my lips with it before kissing the stone. But, luckily, I didn’t have to do anything that ridiculous. I also just now realized as I type this that I really have issues! 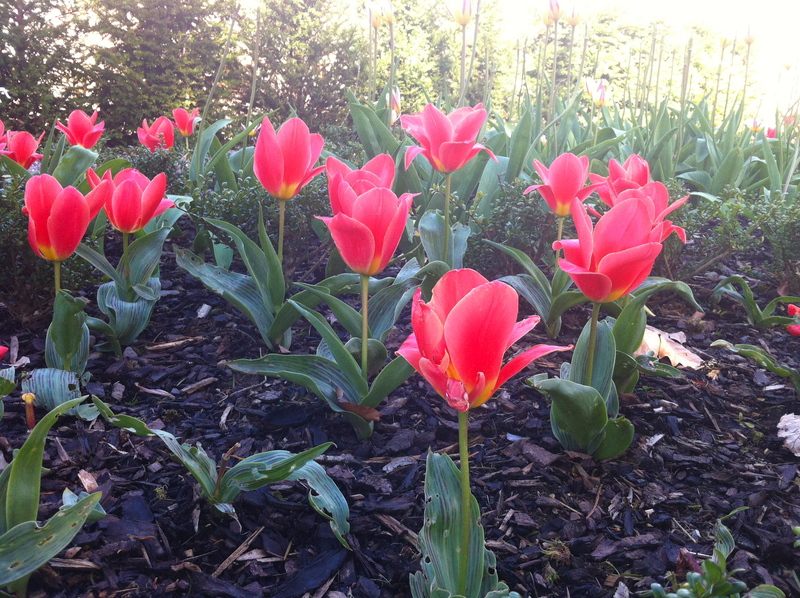 Awesome reading and pictures Jen:-)…. How amazing! I felt like I was there with you! I would love to go to the motherland and see all that! Well written and amazing photos! The pictures are amazing, this looks like something I need to do! Added to my bucket list!